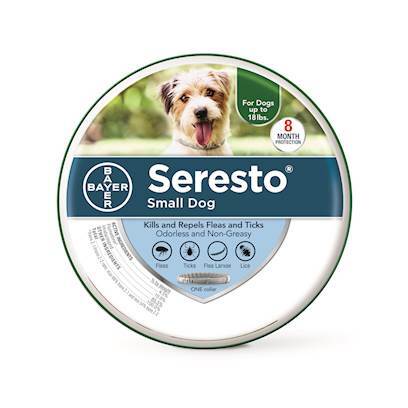 Seresto™ is a new, easy-to-use flea and tick collar that promises a full 8 months of consistent protection, thanks to their new sustained release technology. Odorless, non-greasy, and long lasting, this collar will change the way you think about flea and tick protection. Rated 4 out of 5 by 1740 reviewers. Much better than administering topical once a month. My dog doesn't have ticks or fleas. The collar is working great! Very Satisfied with Seresto Flea and TIck collar. No worries for 8 months! Best thing I could of bought. Love the convenience of once every eight months. So far so good - no fleas or ticks! Buy one quick! Works great! This product works great and was so easy to use. This product works great and is easy to use. This product has worked well for our pet! This product is so easy to use. Ticks don't have a chance with Seresto.